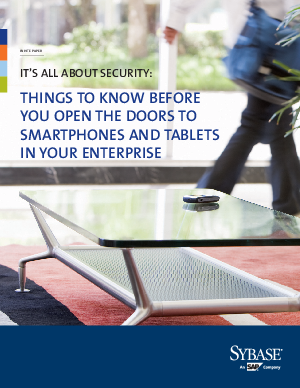 Mobile devices such as smartphones and tablets used in the enterprise may be putting your corporate information at risk. Lost or stolen smartphones that are not password protected, or information in corporate email or business applications transmitted wirelessly but not encrypted, can all-too-easily expose confidential corporate data. Here are several key strategies to protect your enterprise mobile devices and the sensitive data they contain.